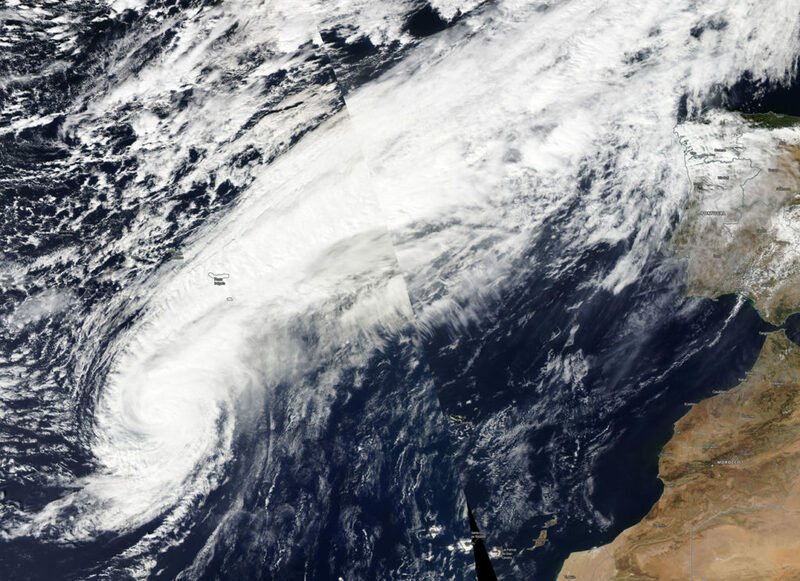 NASA-NOAA’s Suomi NPP satellite passed over the Eastern Atlantic Ocean and captured a visible image of Hurricane Leslie as it continues to travel toward southern Spain and Portugal. Suomi NPP passed over Leslie on Oct. 11 and the Visible Infrared Imaging Radiometer Suite (VIIRS) instrument provided a visible image of the storm. The VIIRS image showed Leslie’s cloud pattern continues to feature a central dense overcast, but with only hints of an eye in visible imagery. A large area of clouds extend northeast of Leslie’s center that are associated with an elongated area or trough of low pressure.